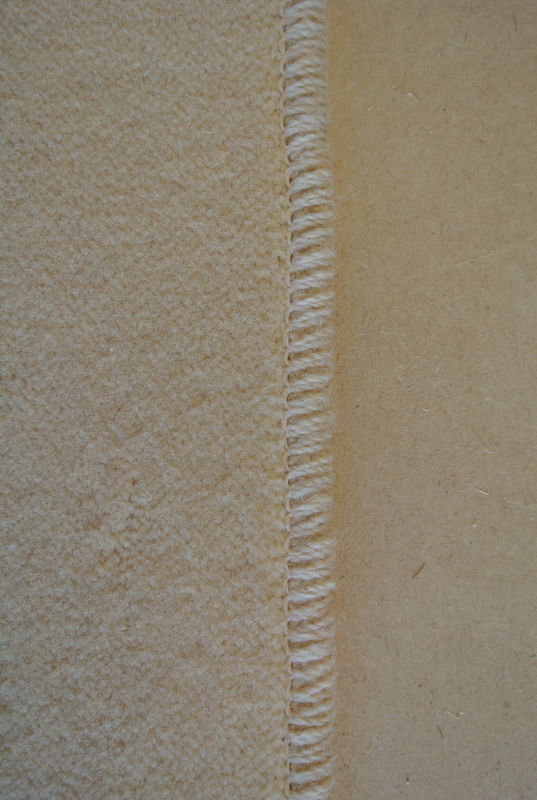 We are the specialists in carpet edging/ Overlocking/ binding/ fringing. There are many terms for edging rugs. Binding and overlocking rugs are the most common, Overlocking a rug helps stop the rug from fraying, it is the same principle with clothing we just use a more heavy-duty machine for the rugs. 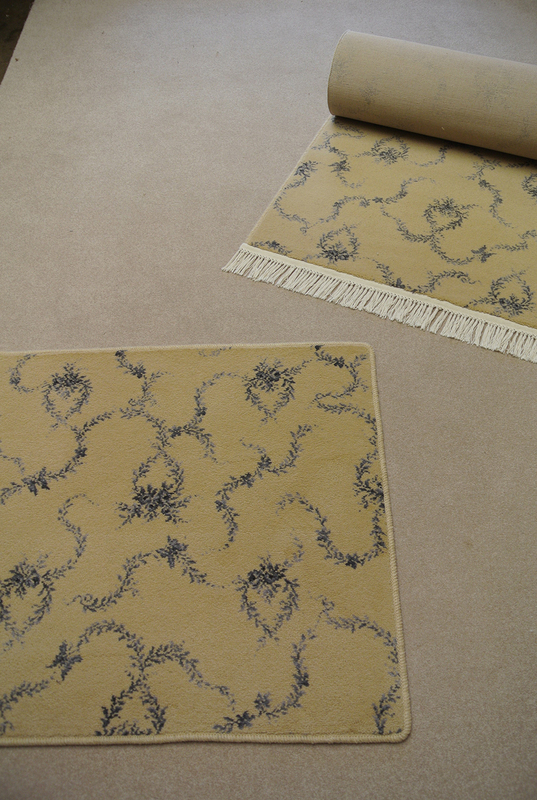 Your carpet will be finished in a hard wearing, colour co coordinated yarn. If you like a different colour we can do our best to find you other colours for you. 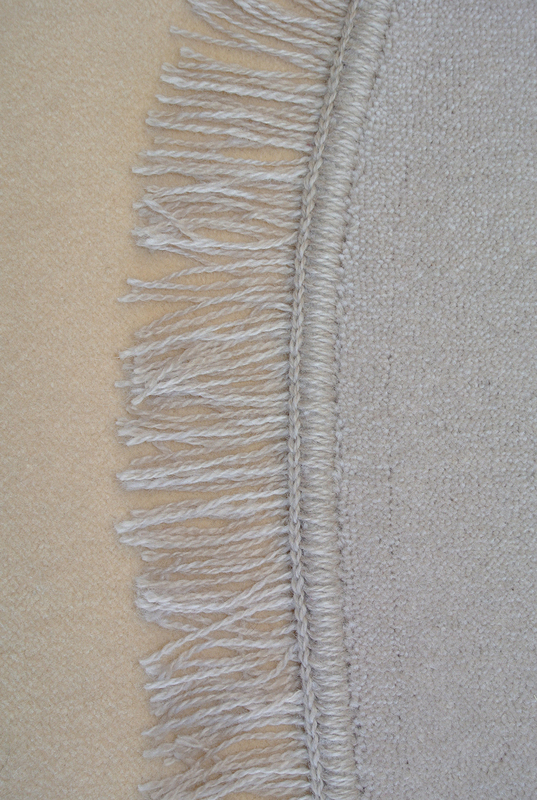 Fringing is where we sew a fringe on to you rug. This has become less common to have a fringe put on to your rug, as they tend to gather dirt and dust quickly. But it still can be made out of any yarn colour you would like. Please contact us by phone and we can discuss your requirements.